Australian Country Towns don’t come much smaller than some of these! But each town on my A-Z list within my Aussie ABC punches above its weight with attractions you probably won’t find anywhere else! My list of HOT Aussie Towns from N-Z here in Part 2 have attractions so COOL you’ll want to see them all. And if you missed my selection of Australian Country Towns from A – M, then take a look at Part 1 of T is for Towns HERE! This vibrant village in the heart of Northern New South Wales’ Rainbow Region is a alternative lifestyle magnet – think communes, cannabis and colourful creativity – amidst a spectacular natural rainforest. Which is still there thanks to a sustained – and successful – protest against logging that reached a head at nearby Terania Creek, now known as Protestors Falls, in 1979. Near the Goyder Line – surveyed to determine the point at which agriculture in South OZ isn’t viable – Orroroo is a stepping off point for the Flinders Ranges. But detour to nearby Magnetic Hill, described by Wikipedia as a gravity hill optical illusion! It’s not unique to Australia – but the bizarre sensation of rolling uphill on a downhill slope makes it a tourist magnet, haha! Non-birdos might not find the prospect of seeing the only mainland Australian Gannet colony at Point Danger near Portland – oldest European settlement in Victoria – so thrilling. Luckily, the other attractions – like the Petrified Forest and Blowholes at Cape Bridgewater; and Enchanted Forest, Yellow Rock and Lighthouse at Cape Nelson – have more universal appeal. And how could anyone resits the Bonney Upwelling Festival? More of a locality than a town, Quobba makes up for its lack of infrastructure with a stunning coastal landscape complete with campground, beach, lighthouse, whales, blowholes (both the rocky AND whale types), wildflowers, monster waves – and one of the best Aussie dunnies anywhere EVER! Yes, it’s in MY BOOK: Aussie Loos with Views! Nearly every Aussie state has a town, suburb or locality called Richmond, but the Tasmanian Richmond boasts Australia’s oldest bridge built in 1823. Between Hobart and World Heritage site Port Arthur, picturesque and historic Richmond makes a perfect base from which to explore, especially when you consider its fine collection of eateries! Besides, everyone’s already got the shot of Australia’s MOST photographed bridge! One of the first South OZ river ports, Swan Reach marks where Goyder’s Line crosses the Murray River and is 30 km below the first of the 13 completed locks along the biggest river system in OZ. Explorer Edward John Eyre made his home here, and nearby Big Bend (can you guess why it’s called that?) has the highest cliffs on the Murray! Tully’s Golden Gumboot shows the height of its annual rainfall. But it doesn’t show the rivalry between Tully, Babinda and Innisfail as they vied for the ‘honour’ of being Australia’s wettest town and scoring the ‘Golden Gumboot’ award! But with average annual falls of 4000 mm (160 inches) AND highest recorded annual rainfall in a populated area (7900 mm in 1950) sugar town Tully claims the title! Unless you get a job mining the purest salt in the world, you won’t see the Useless Loop township because no tourists are allowed in this closed community, westernmost town in Australia. You CAN access the Shark Bay World Heritage area surrounding the town from closest town Denham – the official westernmost town with Australia’s westernmost caravan park! A fully self-contained roadhouse with fuel, food, accomodation is what passes for a town in parts of the Northern Territory. With a scenic campground setting below the Stokes Range right next to Australia’s WILDEST river, the roadhouse is worth a stopover. The Victoria River Roadhouse is a chance to experience wild Outback Australia at its best if you like your scenery full of staggering views and your landscapes with a rugged edge. It’s not such a long way to the top of Mt Wycheproof, a metamorphic boss which at 43 metres above the plain (237 m above sea level) is also the world’s (self-proclaimed) smallest mountain! Visible from Broadway below in the township, the mini-mount is a tourist drawcard when coupled with endemic flower Correa Glabra, unique mountain quartz Wycheproofite AND a cool scenic loo (YES, it’s in my BOOK)! I can’t tell you why there aren’t many OZ towns beginning with X, but I blame an unimaginative language that fails to use the letter X to its full potential! 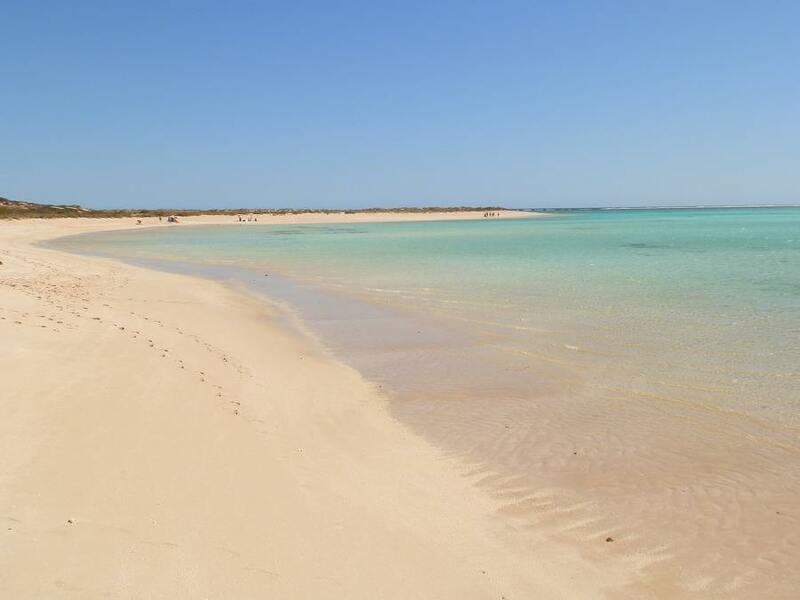 That doesn’t mean Exmouth on the tip of North West Cape isn’t worth seeing – it’s between the ocean and the outback with Ningaloo Reef on one side (guess which!) and Cape Range National Park on the other! This remote opal mining town shares its name with the Yowah Nut, a geode-like nut shaped rock with an opal core found nowhere else on earth. They’ve got matrix opal too. Come for the opal festival, find yourself a Yowah Nut – either on the opal field or at one of the many opal outlets – or just experience the awesome Aussie outback at its best! Visit during the dry season and you’d never guess that the Fitzroy River has the highest volume of water in Australia when in flood with an estimated 30,000 cubic metres per second flowing along a 15 km wide flood plain. When it’s not being flooded out, visit Fitzroy Crossing for the awesome Geikie Gorge, the closest mainland Australia has by way of icebergs! Well, that’s just a tiny town teaser! With thousands of small Australian Country Towns there are a LOT more to discover out there. And if you want to discover them for yourself, take a look at some cheap flights to get you started! NEXT Post: 10 TOP Budget Travel Tips to make your Road-Trip ROCK! I think the tiny towns are the most interesting Red. I’m pleased to say I have been to at least a few of these. Happy travels Red and thank you for stopping by my blog this week. I KNOW I’m lucky, Joanna – that’s why I love sharing the wonders of Australia on my blog. Have you thought about visiting, or even moving? Have a look at http://lifeinaustralia.com.au/ if you are interested in exploring the idea a bit further! Hope you have a good weekend, my friend! You’ve been everywhere man! Love the WA Beaches and the colour of the Indian Ocean. I wish I HAD been everywhere, Diane! There’s a LOT of places still on my ‘to do’ list – and the more I look, the more I find!! Stay tuned! Yes, I have the Richmond Bridge photo. I’m not going to ask why the Quobba loo is so elevated. I have a half finished post about the very interesting Goyder Line. EVERYONE who’s been to Tas probably has a pic just like this one, Andrew!! Don’t want to know about the loo either, but I suspect because it’s sitting on rock, the composting bin (how’s THAT for euphemism!) has to be above ground? There’s a very interesting book about Goyder and the line released in 2014 by the Wakefield Press: ‘Nature’s Line George Goyder Surveyor, environmentalist, visionary’ by Janis Sheldrick if you want more information! The oldest Australian bridge is so beautiful. I’d like to live where I can see it every day. Tully has 160 inches of rainfall a year?? Now, this is why I think governments should invest in dams and pipelines to bring water to the arid states. I’ve read in the past that Queensland alone has enough annual rainfall to supply our entire continent. There’s a lot to be said for moving to Tassie, River! I’d LOVE to spend more time there!! There was once a plan to pipe water down from the NT, but I think there are logistical problems with a pipeline that long. I guess there is no incentive for any states other than ours to actually implement such a plan – and as our state government keeps telling us, there’s no money!!! Useless Loop surprises me a lot. Not just the fact that we can’t go there. The name of the township is very surprising, isn’t it?! I enjoyed the 2 posts of T. Thanks, Red! I’m doing so much better with the second instalment of A-Z of Aussie towns. I have been to all these places bar Orroroo and Yowah. It’s so interesting looking at places I have been to through your eyes. Great post! It’s so funny how the list worked out, Kathy – nearly all the WA towns ended up in Part 2, nearly all the QLD towns in Part 1! I had the same feeling when I read your A-Z – reading your perspective made me see it all quite differently! Hmmm – I for sure did not take cannabis, but maybe we went through Nimbin, I remember some funny lille town in NSW in 1995. Oh, Denham 🙂 Yup. An old tyre made into a swan, holding plants. Awww, really, Red, you make me want to quit my job and do it all again, just better, studying your blog very hard! Exmouth! Oh, that dog stole my contact lense! And made me go on a fun journey, meeting the same optometrist in Broome and Port Headland! Thanks for the memories!